Pavilion Kuala Lumpur celebrating this Hari Raya Aidilfitri with Royal Terengganu Songket by bringing to life the art of Songket-weaving, from 3 July to 3 August 2014 at the Centre Court. Perhaps this Raya we should take a step back to treasure those around us and savour the precious moments with our loved ones rekindle the old traditions and reflecting on the significance of Hari Raya. The launch of this event started off with traditional Gamelan music by SUKTRA Terengganu and followed by the Songket dancers then graced the audiences with a traditional dance that delighted everyone. The Raya 2014 festivities was officiated by Her Royal Highness Sultanah Nur Zahirah, YBhg To’ Puan Sri Nur Rahmah Mohd Zain, Joyce Yap and Ken Yang that marked the beginning of the month-long celebration. With that grand launch of Weaving Tradisi Raya, it then followed by a fashion show of traditional Songket pieces by Royal Terengganu Songket. Pavilion Kuala Lumpur aims to unite people from all walks of life under one hub, by bringing to life culturally-rich traditions that are close to Malaysian’s hearts. This Raya, we place the limelight on the age-old art of Songket-weaving by introducing the nation’s heritage to the lives of urban shoppers and tourists. To revitalize the art of Songket-weaving, Pavilion Kuala Lumpur will be having an exhibition to feature the rich origins of Songket-weaving. You can look forward to weaving demonstrations by Royal Terengganu Songket. During the exhibition, visitors can also try on the Songket and be mesmerized by the timeless beauty of this exquisitely sewn fabric. Also look forward to an exhibition hosted by Ken Yang, an international Malaysian painter and royal portraitist who lived and worked in Paris for more than 12 years. He is a first-class historical painter and lends crucial importance to the preservation of traditions. As an artist who makes it his mission to revitalize forgotten artwork, he is a perfect fit for Pavilion Kuala Lumpur’s Hari Raya 2014 theme. 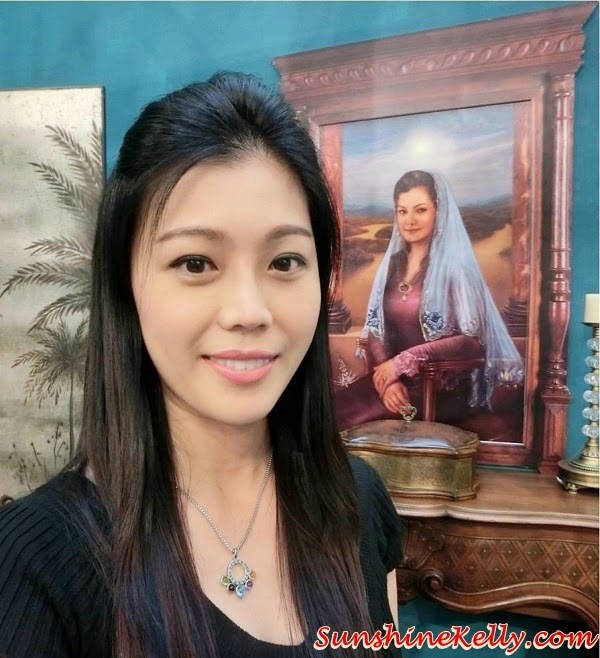 Yang’s artwork and royal portraits will be displayed at Pavilion Kuala Lumpur throughout the Hari Raya celebrations. From 3 July to 3 August 2014, you can enjoy other exciting and educational activities that includes traditional Songket-weaving demonstration and Aidilfitri band music performance. Spend RM300 in a single receipt at any specialty stores during the Raya season at Pavilion Kuala Lumpur will receive exclusively designed Hari Raya packets. The redemption can be made at concierge desks and it is limited to a maximum of two packs per shopper daily.